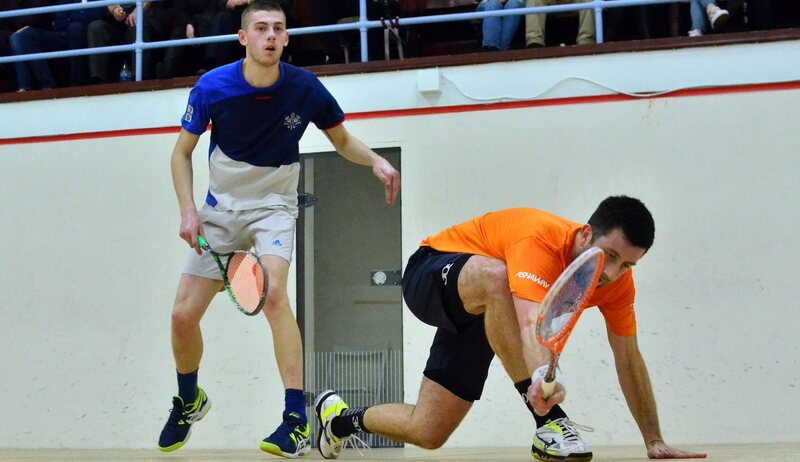 Luke Parker (ENG) bt Alan Tasker (SCO) 11-5 ret. 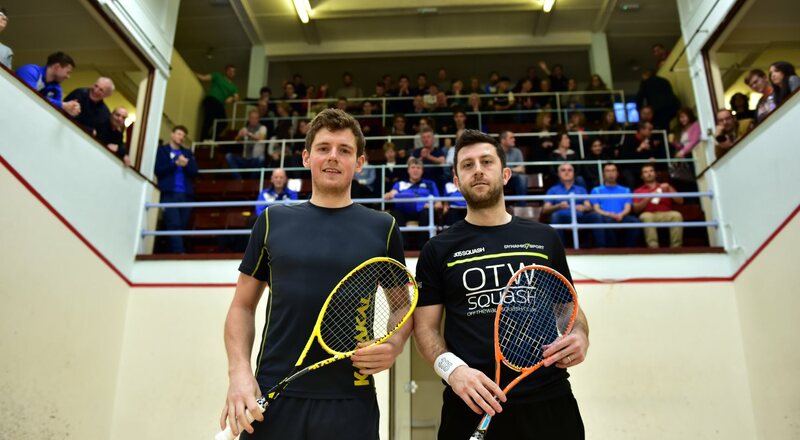 Greg Lobban kept the BSPA Edinburgh Open title in Scottish hands as he beat top seeded Englishman Daryl Selby in straight games in front of a packed crowd on ESC's court 5. 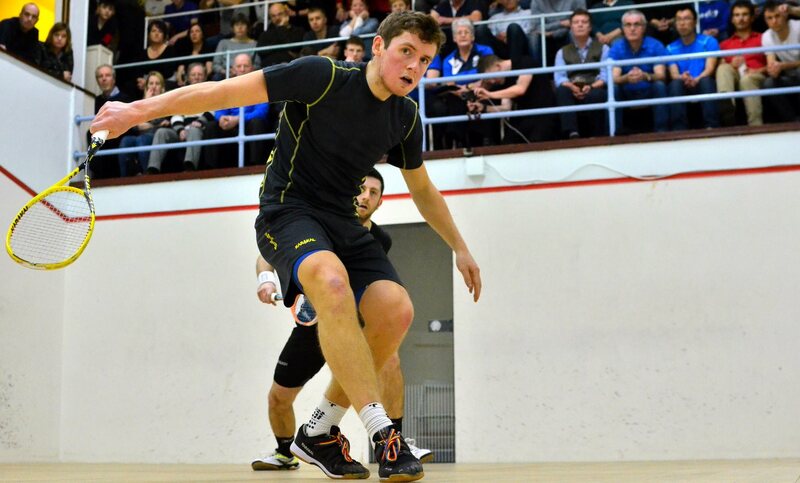 Lobban, appearing in his first final, denied Selby a sixth triumph as he controlled the first two games, then almost let a lead slip in the third as Selby, railing at some of the late decisions, fought back saving two match balls before Lobban took the title on an obvious stroke. "Daryl maybe wasn't at his best today,2 said a delighted winner, "but he made me work hard for it all the way. 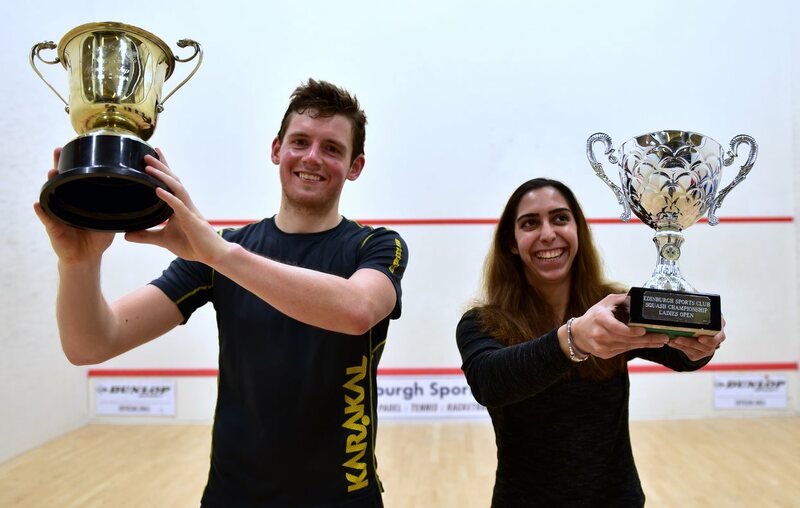 It feels great to win this title, it's always one of the highlights og the year and to keept it in Scottish hands [after two wins from Alan Clyne] feels great. 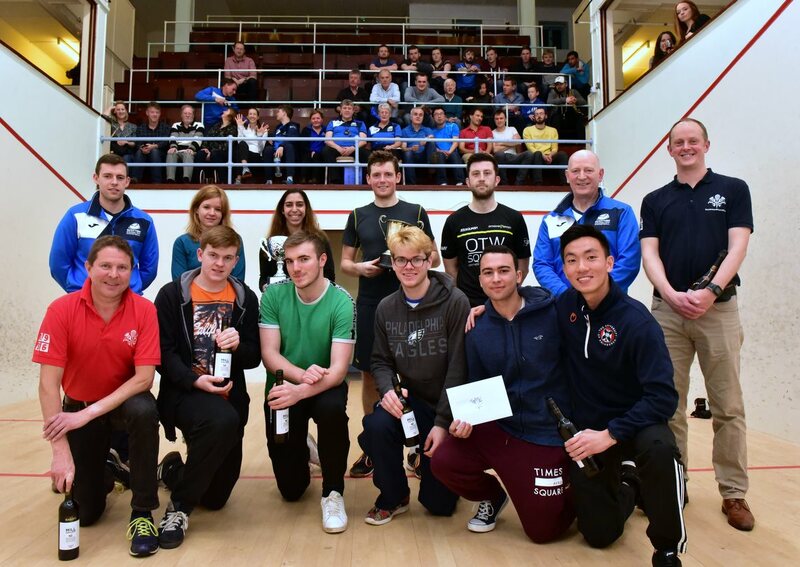 "Hopefully the success of this tournament and the crowds and recognition it draws will help to bring more professional events to other parts of Scotland. 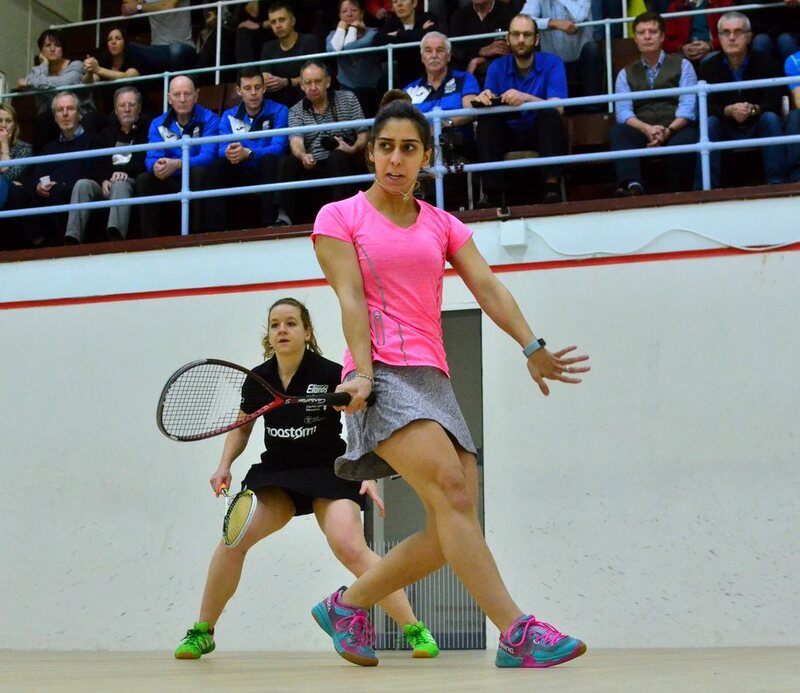 Top seeded Egyptian Shahin faced Julianne Courtice, the sixth seeded Englishwoman who had beaten higher-ranked Egyptians in the two previous rounds - both appearing in their first PSA $10k final. The match was a full-on affair, fast paced and hard hitting from the word go, and all five games were hotly contested with a lot of decisions required of the referee. 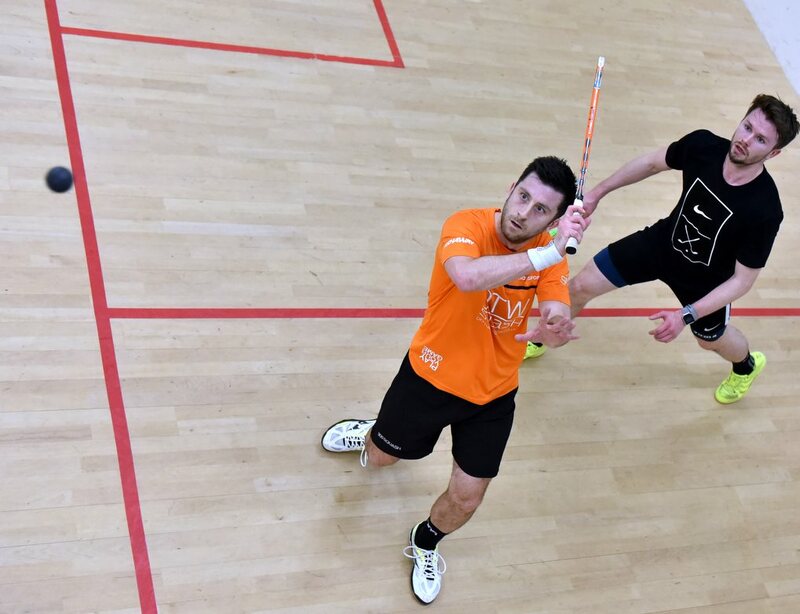 Courtice took a two game lead as Shahin made errors at the end of both games, but the Egyptian squeezed home in the third then saved a match ball in the fourth before forcing a decider. 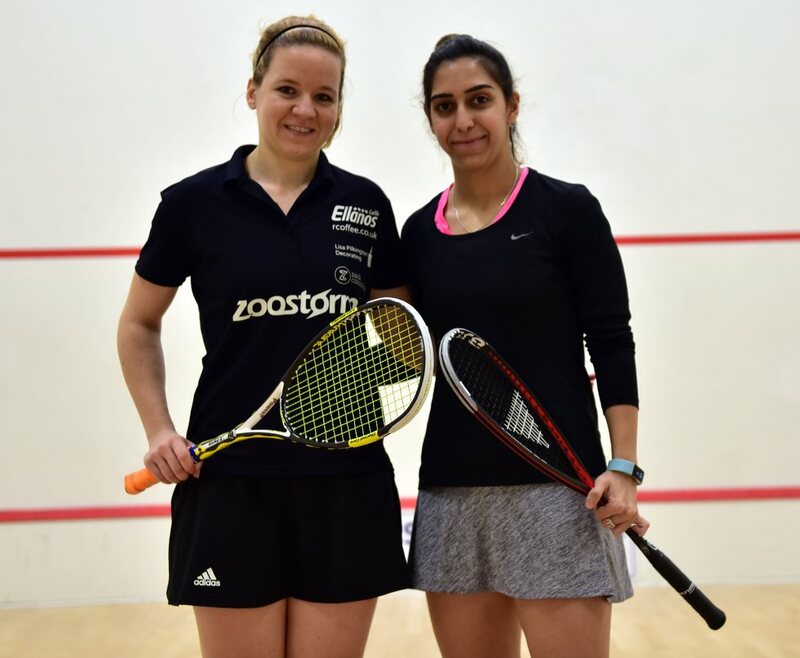 The fifth was nip and tuck, Courtice just ahead to 8-7, then Shahin took the lead, and clinched the title on her second match ball. 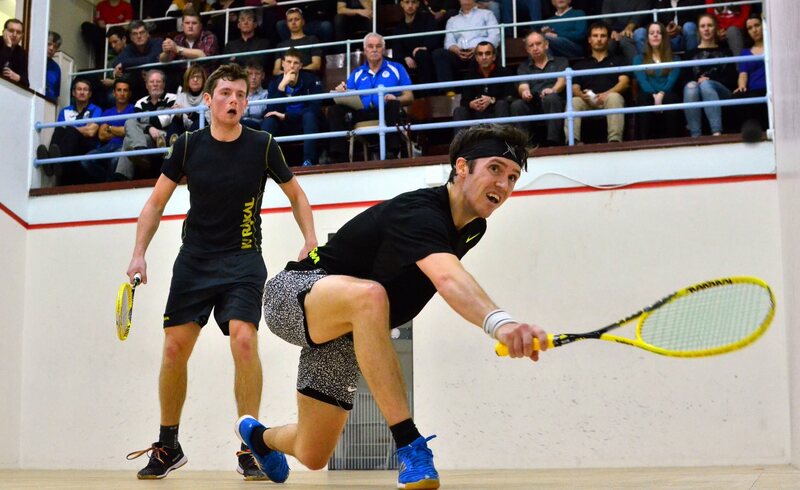 "That was really hard, probably the toughest match I've ever played," said the delighted winner. "It's my 8th PSA title but my biggest, so I'm delighted. I've really enjoyed my first trip to Scotland and I'm sure I'll be coming back!" 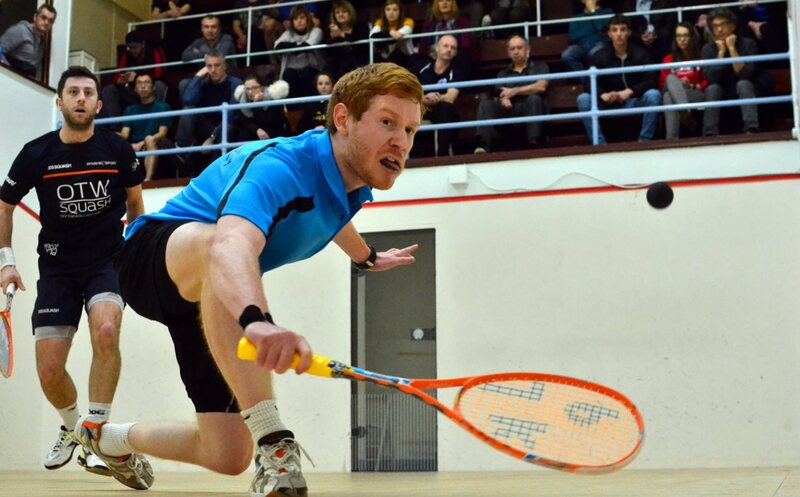 Cardwell admitted to "a tough match, I felt rushed all the time and went back to what I know, chasing around rather than trying to take control of affairs." In the final Shahin will face defending champion Julianne Courtice, after the Englishwoman scored a second succesive upset win over an Egyptian opponent, beating world junior champion Rowan Elaraby in a seesaw five setter. 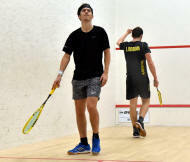 "It was an up and down match," said Courtice," neither of us could maintain a rhythm, and each game was dominated by one or the other. 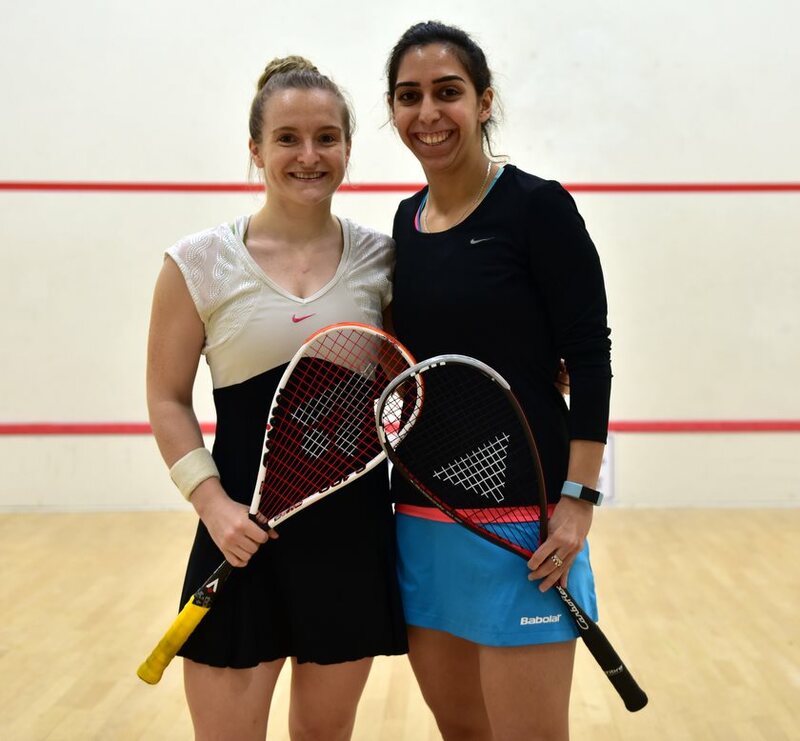 "It's my first $10k final, so I'm really happy to be there, and if I can beat a third Egyptian in a row to finish it off then even better!" 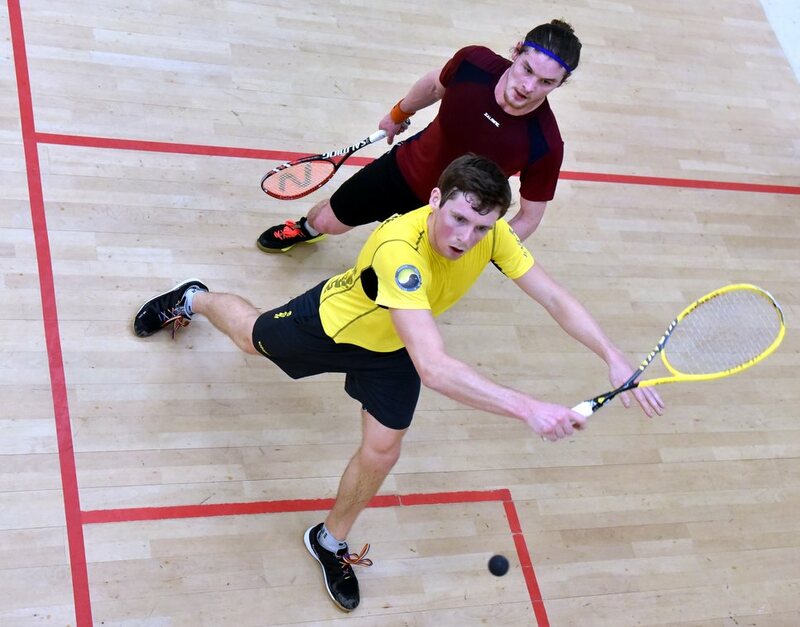 Scottish #2 Greg Lobban kept hopes of keeping the ESC Men's title in home hands - Alan Clyne won the last two events - as he came from 1-2 down to beat England's 3/4 seed Chris Simpson to the delight of a packed court five crowd. 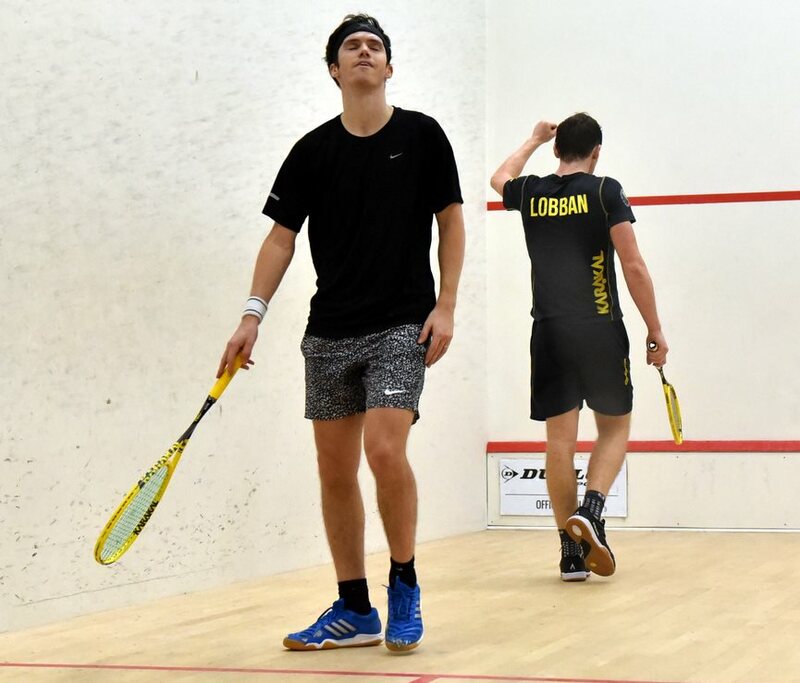 "When Chris plays well he's very tough to get points off," said Lobban, "and he outplayed me in the second and third games. I just had to dig in, and Paul Bell told me the right things to do so I'm happy to be able to recover from there. "This is one of the best nights of the year, and I've lost out in two or three semis here, so to make the final for the first time is special." 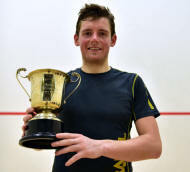 In the final he'll face top seed Daryl Selby, the five-time ESC champion who denied the crowd the all-Scottish final they craved with a 12-10 in the fifth win over Rory Stewart. Stewart, the 5/8 seed, had a walkover against Jaymie Haycocks in the afternoon quarter-finals, and after a slow start push Selby all the way, recovering from 7-10 in the decider to force extra points before Selby finally won through. "It was comfortable at the start ... and then it wasn't comfortable, I just had to dig it out!" 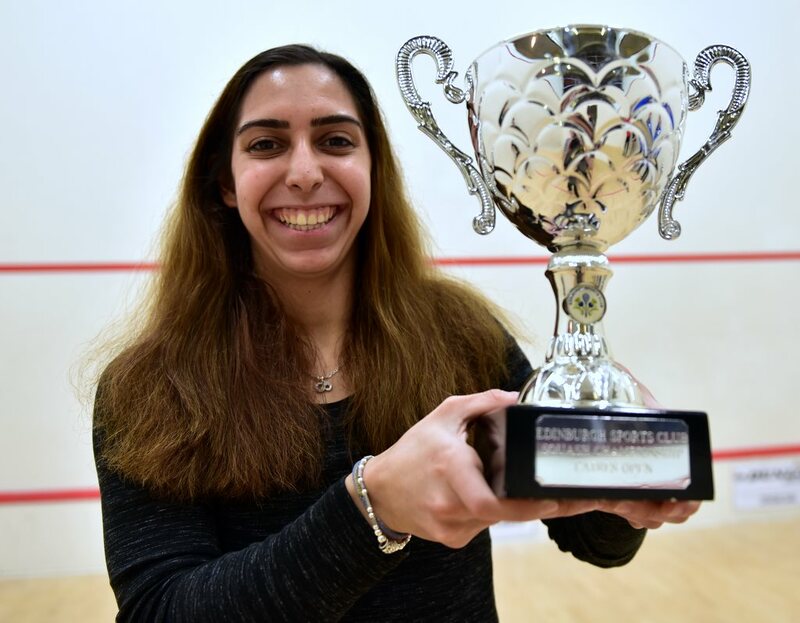 The quarter-finals of the upgraded PSA $10k women's event saw two upsets and two Egyptian winners at Edinburgh Sports Club. 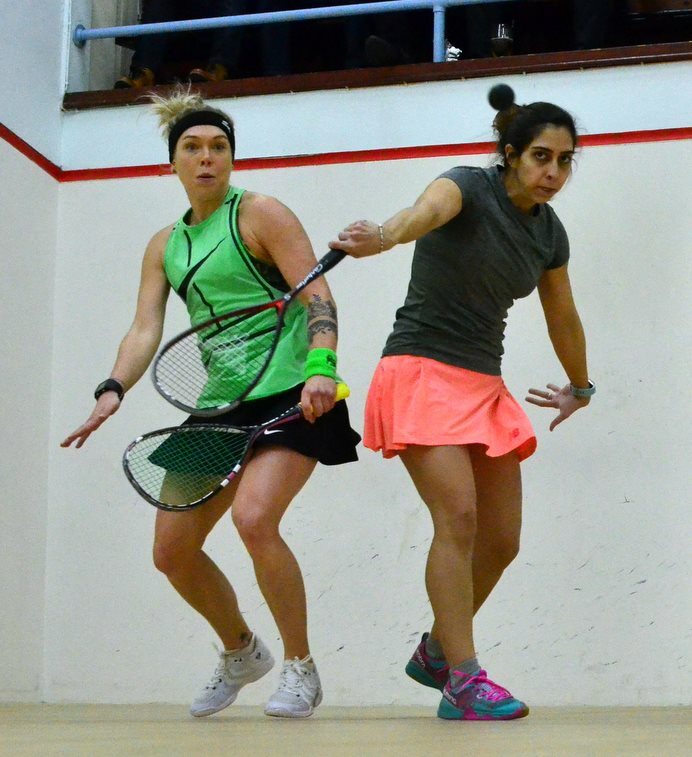 Top seed Nadine Shahin came through a tough five-game battle to stop top Scottish hope Lisa Aitken, and in the semis she'll face Australia's Saarah Cardwell, who got the better of third seed Misaki Kobayashi in four fast paced games. 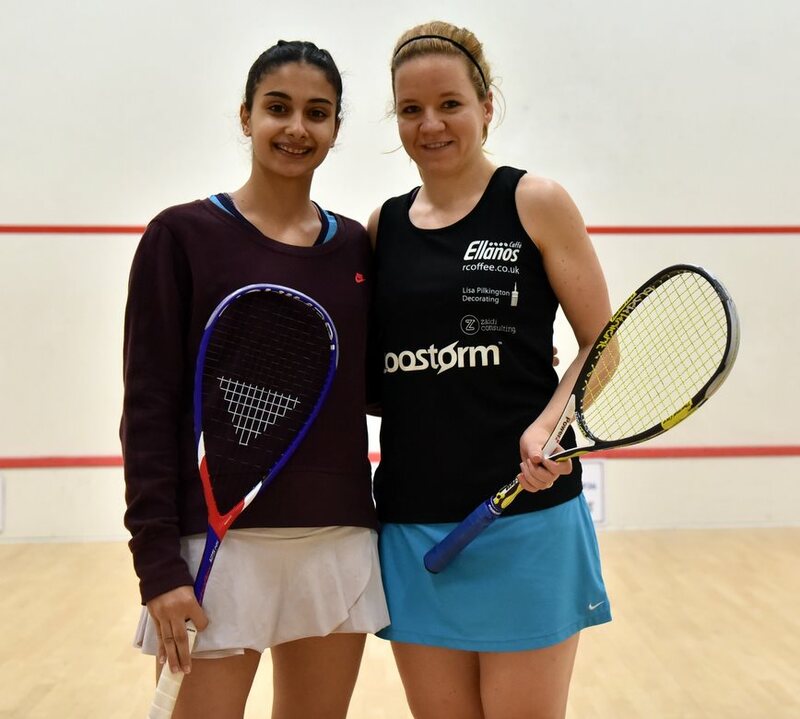 "I'd played Lisa once before, three years ago in South Africa ," said Shahin, "and that was 3-2 so I knew it was going to be another tough one. "I'm happy to get through that one and looking forward to contining my first trip to Scotland." 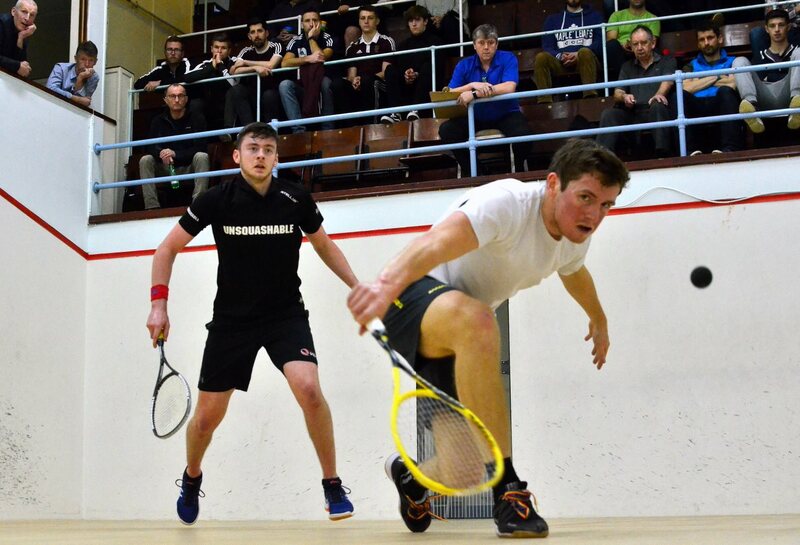 Cardwell, who had a marathon first round match, reckoned today's match was shorter, but tougher. 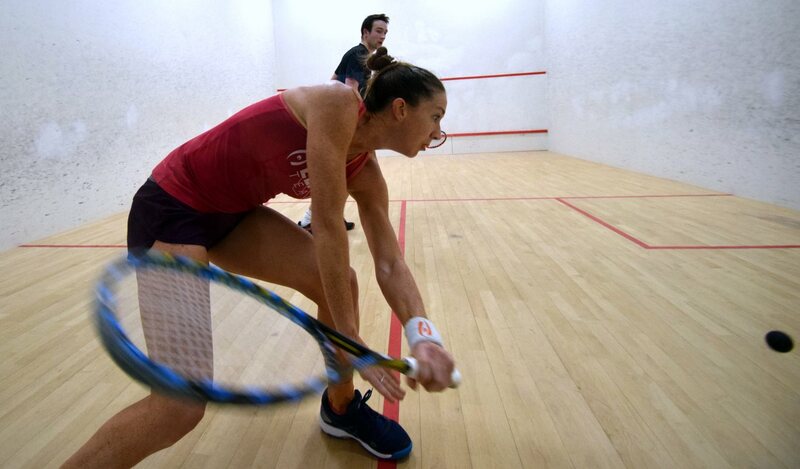 "I've changed my training and the way I play, and it seems to be working," she said. "I don't have to run and scrap as much as I used to, but I had to today, that was a really tough match. "Last time we played I was 10-4 up in the fifth and lost, so when I got to 10-6 in the fourth I was determined I wasn't going to let it happen again!" 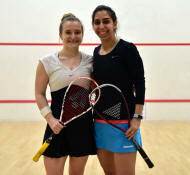 World Junior Champion Rowan Elaraby ended home interest as she beat Alison Thomson in straight games, but the prediceted all-Egyptian semi-final failed to materialise as defending champion Julianne Courtice won a hotly contested four game match against second seed Nada Abbas. "I played Nada a year ago and lost 3-2, so I knew what to expect," said the sisth seed. "Today was similarly scrappy, tougher mentally than physiaclly and I was pleased with how I dealt with it and stayed focused on the next point. 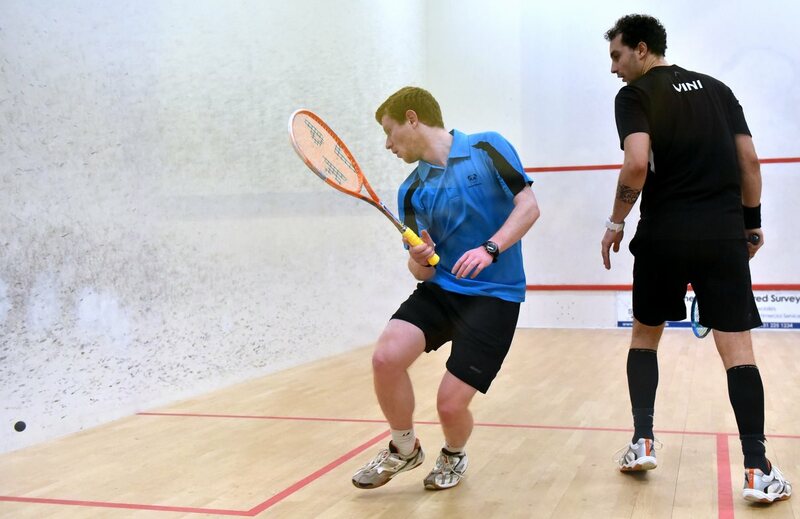 "This is a good club for me, I could end up playing three Egyptian in a row depending how the results go!" 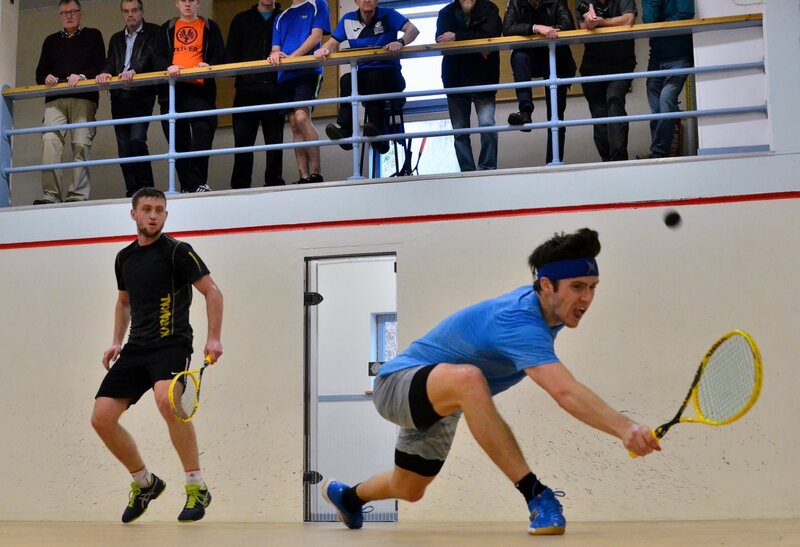 The BSPA men's event main draw started, with two rounds to determine the quarter-finalists. 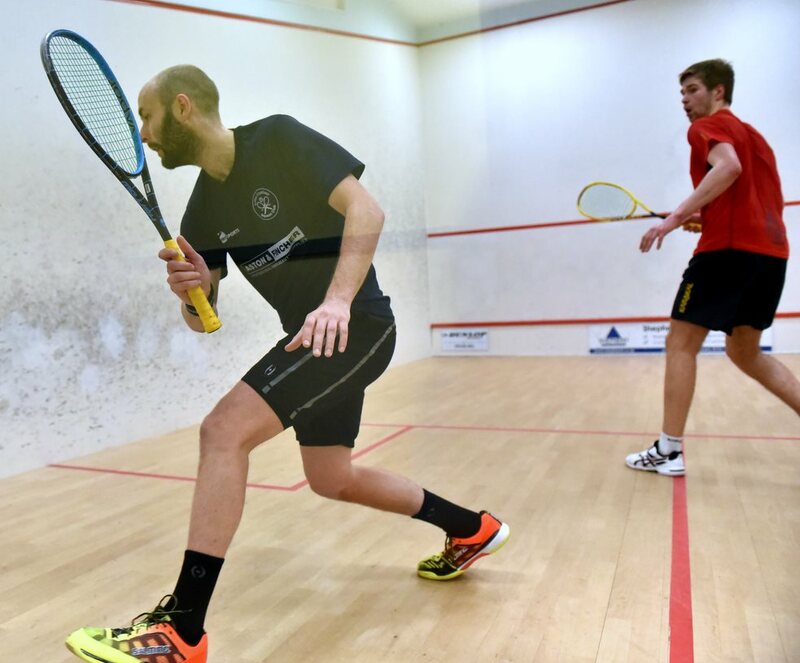 Long story short, all eight seeds - six Englishmen and two Scots - won through to the quarter-finals, which take place on Saturday lunchtime with the semis to follow in the evening. The women’s matches all went to seeding until the very end, although not all of the seeds had an easy time of it. 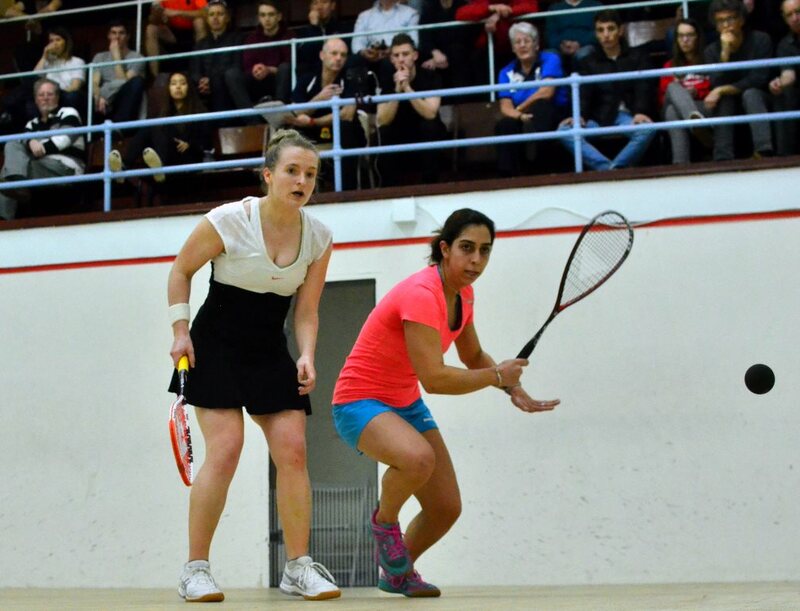 The Egyptian trio of Nadine Shahin, Nada Abbas and Rowan Elaraby - seeded #1, #2 and #4 - all had to work hard for their wins, Elaraby fending off an energetic challenge from ESC’s own Georgia Adderley. 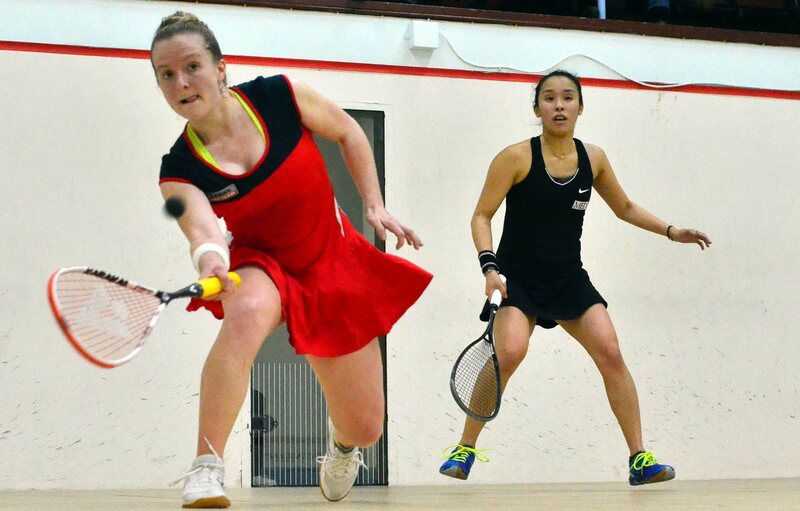 Defending champion Julianne Courtice came through safely enough, anh toip home hope Lisa Aitken breezed through to the quarters. 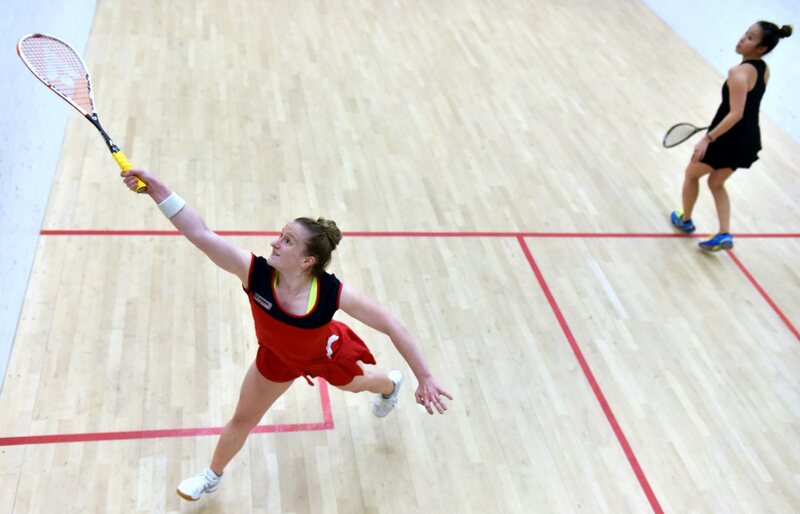 Sarah Cardwell went through in the longest match, a gruelling 70-minutes against British U23 champion Lucy Turmel, and Misaki Kobayashi the shortest, a quickfire 3-0 ovet Tessa ter Sluis. 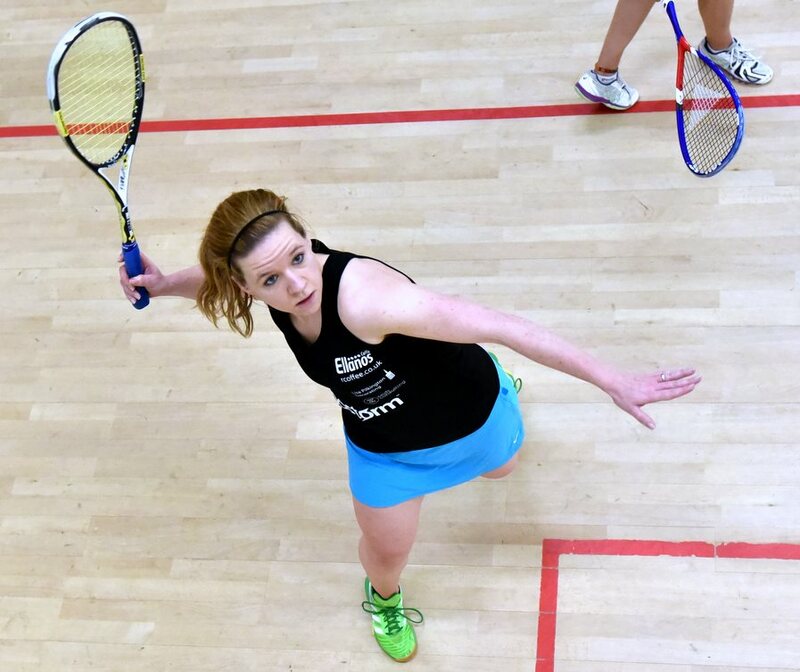 It wasn’t until the last match of the day that the first upset - and the second home winner - arrived as Alison Thomson edged out Chloe Mesic in five games.